EAST ASIA, 2199. After a great war, the East Pacific is in ruins. In brutal Neo Seoul, where status comes from success in combat, ex-gang member Lee Jaewon is a talented pilot rising in the academy's ranks. 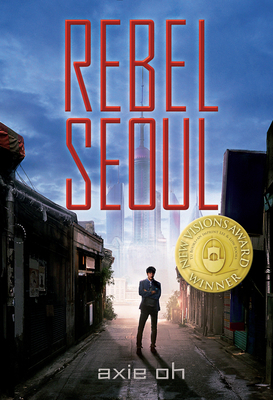 Abandoned as a child in the slums of Old Seoul by his rebel father, Jaewon desires only to escape his past. When Jaewon is recruited into the most lucrative weapons development division in Neo Seoul, he is eager to claim his best shot at military glory. But the mission becomes more complicated when he meets Tera, a test subject in the government's supersoldier project. Tera was trained for one purpose: to pilot one of the lethal God Machines, massive robots for a never-ending war. With secret orders to report on Tera, Jaewon becomes Tera's partner, earning her reluctant respect. But as respect turns to love, Jaewon begins to question his loyalty to an oppressive regime that creates weapons out of humans. As the project prepares to go public amidst rumors of a rebellion, Jaewon must decide where he stands--as a soldier of the Republic, or a rebel of the people.